Quantity discounts will be available for select clients. Call or email me to discuss. Prices will be coming shortly. There will be series of links below for each type of paper and matting/framing options. 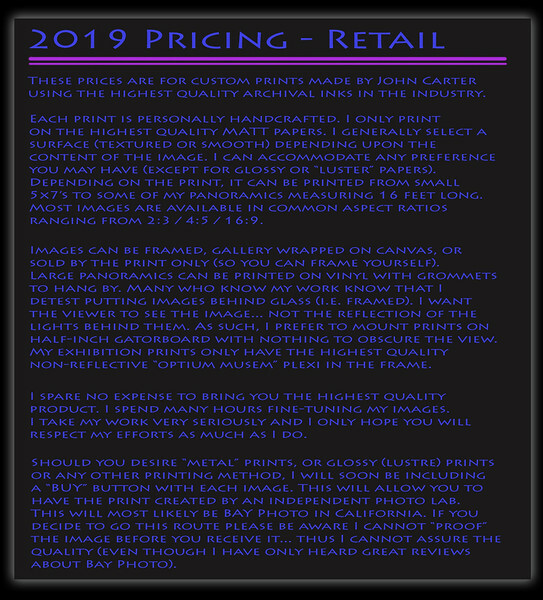 Please note that the highest quality option available is for me to create the print for you...but I ONLY print on the highest quality matt papers. Please read the following to understand the options available to you.